We all know how hard it is finding the right primer. Especially ones that are not going to break the bank , so I have made a note of the top primers! Thank me later. Oh my goodness! Let me tell you about this little bottle of heaven. So, my skin was really bad last year and I went to the smash box counter looking for something that will basically make me look like a plastic doll. 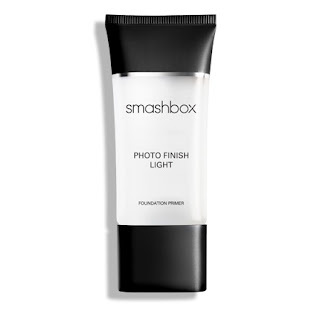 I took it home and I was so excited to try it that I took all of my makeup off and the re applied it just to try this primer that I was told would make me look 10 years younger. So for someone that is 16 I should basically look like a 6 year old again! What could be better? So for this primer I had heard a lot about it all over the internet and on other peoples blogs ad YouTube videos and obviously I thought that I had to have it. Of course my parents wasn’t too happy when I gave them my birthday list and they saw one piece of makeup sold for £24.50. But that is beside the point! When I tore the wrapping paper off of the thin tube not going to lie at first I thought this is quite small for such a big price. But then… it came to doing my makeup and I wiped that glorious silky primer all over my face and BAM. It looked good. So I was in Superdrug doing my every other week shop once I had just been paid. 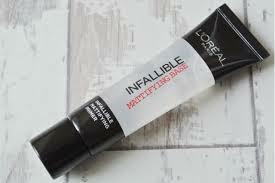 I was looking for a primer that was a bit cheaper that I could wear to work. After all I didn’t want to use my really expensive primer to get all hot and sweaty at work. Well anyway I came across this magical bottle filled with hope and excitement that something so cheap could work so well. I hope this post was helpful and helps you to choose which primer you would like to purchase. Until my next post , carry on being beautiful!